In today’s dynamic classrooms, the teaching and learning process is becoming more nuanced, more seamless, and it flows back and forth from students to teachers. Adolescence can be a very turbulent and difficult time, even for the most well-adjusted child. Depression strikes teenagers and adults alike, and can have far-reaching implications when kids suffer from emotional difficulties that they aren’t sure how to manage. After noticing the signs of depression in your teen and helping him to get the treatment he needs, understanding the root of his depression can help to make the situation more manageable for everyone involved. While this is by no means a comprehensive list of all causes of teen depression, these ten situations can be very common contributing factors to depression. Academic Stress – Kids are under an enormous amount of pressure to succeed academically, especially as the costs of higher education rise and more families are reliant upon scholarships to help offset the expense. Stressing over classes, grades and tests can cause kids to become depressed, especially if they’re expected to excel at all costs or are beginning to struggle with their course load. Social Anxiety or Peer Pressure – During adolescence, teenagers are learning how to navigate the complex and unsettling world of social interaction in new and complicated ways. Popularity is important to most teens, and a lack of it can be very upsetting. The appearance of peer pressure to try illicit drugs, drinking or other experimental behavior can also be traumatic for kids that aren’t eager to give in, but are afraid of damaging their reputation through refusal. 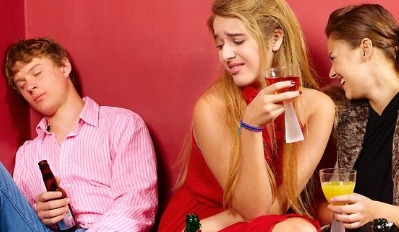 Romantic Problems – When kids become teenagers and enter adolescence, romantic entanglements become a much more prominent and influential part of their lives. From breakups to unrequited affection, there are a plethora of ways in which their budding love lives can cause teens to become depressed. Traumatic Events – The death of a loved one, instances of abuse or other traumatic events can have a very real impact on kids, causing them to become depressed or overly anxious. In the aftermath of a trauma, it’s wise to keep an eye out for any changes in behavior or signs of depression in your teen. Separating or Divorcing Parents – Divorced or separated parents might be more common for today’s teens than it was in generations past, but that doesn’t mean that the situation has no effect on their emotional well-being. The dissolution of the family unit or even the divorce of a parent and step-parent can be very upsetting for teens, often leading to depression. Heredity – Some kids are genetically predisposed to suffer from depression. If a parent or close relative has issues with depression, your child may simply be suffering from a cruel trick of heredity that makes him more susceptible. 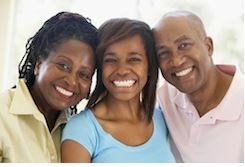 Family Financial Struggles – Your teenager may not be a breadwinner in your household or responsible for balancing the budget, but that doesn’t mean that she’s unaffected by a precarious financial situation within the family. Knowing that money is tight can be a very upsetting situation for teens, especially if they’re worried about the possibility of losing their home or the standard of living they’re accustomed to. Physical or Emotional Neglect – Though they may seem like fiercely independent beings that want or need nothing from their parents, teenagers still have emotional and physical needs for attention. The lack of parental attention on either level can lead to feelings of depression. 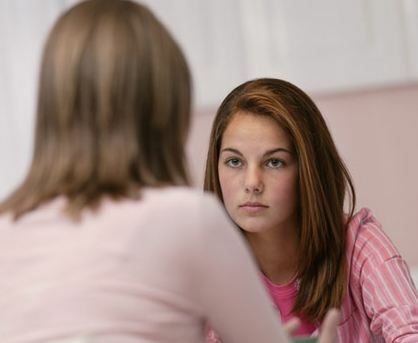 Low Self-Esteem – Being a teenager isn’t easy on the self-esteem. From a changing body to the appearance of pimples, it can seem as if Mother Nature herself is conspiring against an adolescent to negatively affect her level of self-confidence. When the self-esteem level drops below a certain point, it’s not uncommon for teens to become depressed. 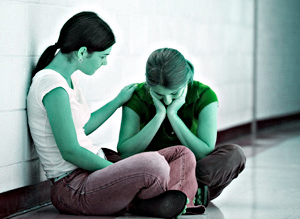 Feelings of Helplessness – Knowing that he’s going to be affected on a personal level by things he has no control over can easily throw your teen into the downward spiral of depression. Feelings of helplessness and powerlessness often go hand in hand with the struggle with depression, and can make the existing condition even more severe. It’s important that you speak to a medical professional or your teen’s doctor about any concerns you have regarding his emotional wellbeing, especially if you suspect that he’s suffering from depression. Depression is a very real affliction that requires treatment, and is not something that should be addressed without the assistance of a doctor. Your general practitioner or pediatrician should be able to help you determine the best course of action if your child is suffering from depression, including referrals to a specialist or medication.